Liviu Olteanu, the AIDLR Secretary General, talked at the United Nations HQ with Faisal Bin Abdulrahman Bin Muaammar , Secretary General KAICIID Dialogue Centre, and with Ambassador Alvaro Albacete, Deputy Secretary-General, on the UN Plan of Action and bilateral exchanges on education for religious leaders, diplomats and politicians on Freedom of Religion or Belief. The following statement was issued by the Secretary General of the AIDLR, after the conversation in New York at the United Nations Headquarters between Dr Liviu Olteanu and H.E. FAISAL BIN MUAAMMAR and H.E. 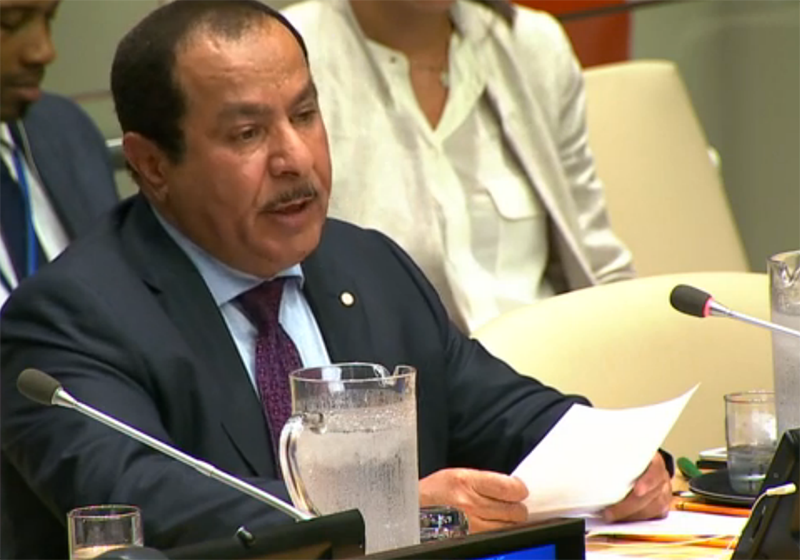 AMBASSADOR ALVARO ALBACETE, in the context of the launch by the Secretary-General of the United Nations Antonio GUTERRES of the ‘Plan of Action for Religious Leaders and Actors to Prevent Incitement to Violence that Could Lead to Atrocity Crimes’. collaborate collaboration between the two organisations has been established and they have agreed to work together on a regional and international level to promote and defend interreligious dialogue, respect for differences, peace and freedom of religion or belief. KAICIID has a strong expertize on education and dialogue and together with the International Association for the Defense of Religious Liberty from Switzerland can foster the UN Plan of Action against discrimination and violence based in religious or belief.